"What are you doing here and who gave you permission to cut out a grave for yourself here, hewing your grave on the height and chiseling your resting place in the rock? Beware, the Lord is about to take firm hold of you and hurl you away, you mighty man. He will roll you up tightly like a ball and throw you into a large country. There you will die and there the chariots you were so proud of will become a disgrace to your master’s house. I will depose you from your office, and you will be ousted from your position. In Isaiah 22:15-25, the prophet Isaiah rebukes Shebna for cutting a tomb for himself outside Jerusalem. Shebna, who is mentioned as one of the palace administrators for Hezekiah here in Isaiah 37:2 will have been replaced and demoted to a secretary sometime after 712 BC, but before 701 BC. to Shebna the palace administrator: ‘What are you doing here and who gave you permission to cut out a grave for yourself here, hewing your grave on the height and chiseling your resting place in the rock? and throw you into a large country. In the midst of national crisis Shebna, a crucial palace official of Hezekiah’s, was more concerned about his memorial and his decorated tomb that he will use after his life of luxury and palace leisure than he is about his responsibilities to the people of Judah and King Hezekiah. Shebna should instead have focused on current international and local issues. He should have consulted the Word of God and assisted Hezekiah in the formulation of wise plans for Judah’s future. 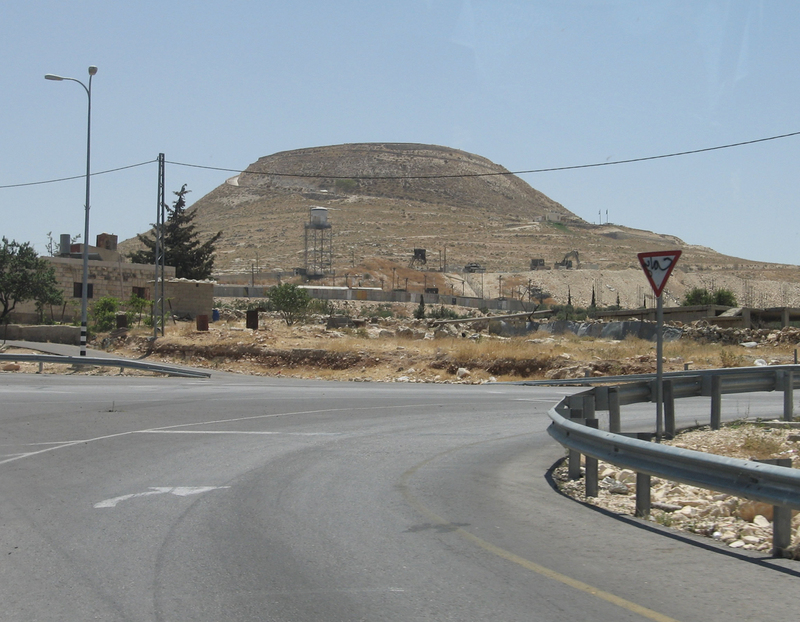 About ten years later in Isaiah 37:2-3, Shebna is one of the palace officials sent by Hezekiah to ask Isaiah for advice concerning Sennacherib's invasion of 701 BC. But, it appears Shebna demise had begun by Isaiah 37 since Eliakim seems to have Shebna’s position as being “over the house." Shebna has been demoted to “secretary” by 701 BC . Eliakim may have favored Isaiah’s policy of independence and encouraged trust in the Lord, while Shebna continued to promote international reliance on Assyria and Egypt. "This is ... [the tomb of Shebna] ...iah, the royal steward. There is no silver or gold here, only ... [his bones] ... and the bones of his maidservant with him. Cursed be the man who opens this [tomb]." "winding up he will wind you a winding." will become a disgrace to your master’s house." It looks like Shebna is going to be taken into Assyria before he dies along with the chariots he both rode in and trusted in, would also be taken. When basanizo is used in the context of a trying situation it can mean “to be harassed” and “to be distressed” as in Matthew 14:24 and Mark 6:48. I will not live for my brief time here on earth, but will consider the long term effects of my decisions on others and on my eternity. One of Herod's palace/fortresses, the Herodian. "The Bible is either absolute, or it's obsolete." and the list continues. . .
"As a door turns on its hinges, so a sluggard turns on his bed." 20 It was because of the Lord’s anger that all this happened to Jerusalem and Judah, and in the end he thrust them from his presence. Now Zedekiah rebelled against the king of Babylon. 25 So in the ninth year of Zedekiah’s reign, on the tenth day of the tenth month, Nebuchadnezzar king of Babylon marched against Jerusalem with his whole army. He encamped outside the city and built siege works all around it. 2 The city was kept under siege until the eleventh year of King Zedekiah. 3 By the ninth day of the fourth[a] month the famine in the city had become so severe that there was no food for the people to eat. 4 Then the city wall was broken through, and the whole army fled at night through the gate between the two walls near the king’s garden, though the Babylonians[b] were surrounding the city. They fled toward the Arabah,[c] 5 but the Babylonian[d] army pursued the king and overtook him in the plains of Jericho. All his soldiers were separated from him and scattered, 6 and he was captured. He was taken to the king of Babylon at Riblah, where sentence was pronounced on him. 7 They killed the sons of Zedekiah before his eyes. Then they put out his eyes, bound him with bronze shackles and took him to Babylon. 8 On the seventh day of the fifth month, in the nineteenth year of Nebuchadnezzar king of Babylon, Nebuzaradan commander of the imperial guard, an official of the king of Babylon, came to Jerusalem. 9 He set fire to the temple of the Lord, the royal palace and all the houses of Jerusalem. Every important building he burned down. 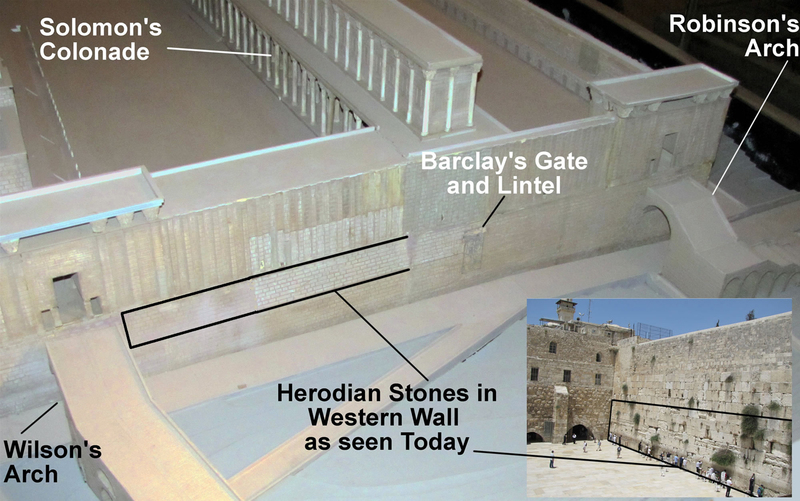 10 The whole Babylonian army under the commander of the imperial guard broke down the walls around Jerusalem. 11 Nebuzaradan the commander of the guard carried into exile the people who remained in the city, along with the rest of the populace and those who had deserted to the king of Babylon. 12 But the commander left behind some of the poorest people of the land to work the vineyards and fields. 13 The Babylonians broke up the bronze pillars, the movable stands and the bronze Sea that were at the temple of the Lord and they carried the bronze to Babylon. 14 They also took away the pots, shovels, wick trimmers, dishes and all the bronze articles used in the temple service. 15 The commander of the imperial guard took away the censers and sprinkling bowls—all that were made of pure gold or silver. 16 The bronze from the two pillars, the Sea and the movable stands, which Solomon had made for the temple of the Lord, was more than could be weighed. 17 Each pillar was eighteen cubits[e] high. The bronze capital on top of one pillar was three cubits[f] high and was decorated with a network and pomegranates of bronze all around. The other pillar, with its network, was similar. 18 The commander of the guard took as prisoners Seraiah the chief priest, Zephaniah the priest next in rank and the three doorkeepers. 19 Of those still in the city, he took the officer in charge of the fighting men, and five royal advisers. He also took the secretary who was chief officer in charge of conscripting the people of the land and sixty of the conscripts who were found in the city. 20 Nebuzaradan the commander took them all and brought them to the king of Babylon at Riblah. 21 There at Riblah, in the land of Hamath, the king had them executed. So Judah went into captivity, away from her land. 25 In the seventh month, however, Ishmael son of Nethaniah, the son of Elishama, who was of royal blood, came with ten men and assassinated Gedaliah and also the men of Judah and the Babylonians who were with him at Mizpah. 26 At this, all the people from the least to the greatest, together with the army officers, fled to Egypt for fear of the Babylonians. 2 Kings 25:3 Probable reading of the original Hebrew text (see Jer. 52:6); Masoretic Text does not have fourth. “Here is my servant, whom I uphold, my chosen one in whom I delight; I will put my Spirit on him, and he will bring justice to the nations. to open eyes that are blind, to free captives from prison and to release from the dungeon those who sit in darkness. “I am the Lord; that is my name! I will not yield my glory to another or my praise to idols. Sing to the Lord a new song, his praise from the ends of the earth, you who go down to the sea, and all that is in it, you islands, and all who live in them. Let the wilderness and its towns raise their voices; let the settlements where Kedar lives rejoice. Let the people of Sela sing for joy; let them shout from the mountaintops. Let them give glory to the Lord and proclaim his praise in the islands. The Lord will march out like a champion, like a warrior he will stir up his zeal; with a shout he will raise the battle cry and will triumph over his enemies. “For a long time I have kept silent, I have been quiet and held myself back. But now, like a woman in childbirth, I cry out, I gasp and pant. I will lay waste the mountains and hills and dry up all their vegetation; I will turn rivers into islands and dry up the pools. But those who trust in idols, who say to images, ‘You are our gods,’ will be turned back in utter shame. “Hear, you deaf; look, you blind, and see! Who is blind but my servant, and deaf like the messenger I send? Who is blind like the one in covenant with me, blind like the servant of the Lord? It pleased the Lord for the sake of his righteousness to make his law great and glorious. Which of you will listen to this or pay close attention in time to come? Who handed Jacob over to become loot, and Israel to the plunderers? Was it not the Lord, against whom we have sinned? For they would not follow his ways; they did not obey his law. So he poured out on them his burning anger, the violence of war. It enveloped them in flames, yet they did not understand; it consumed them, but they did not take it to heart. But now, this is what the Lord says— he who created you, Jacob, he who formed you, Israel: “Do not fear, for I have redeemed you; I have summoned you by name; you are mine. For I am the Lord your God, the Holy One of Israel, your Savior; I give Egypt for your ransom, Cush[a] and Seba in your stead. Lead out those who have eyes but are blind, who have ears but are deaf. “You are my witnesses,” declares the Lord, “and my servant whom I have chosen, so that you may know and believe me and understand that I am he. Before me no god was formed, nor will there be one after me. I, even I, am the Lord, and apart from me there is no savior. I have revealed and saved and proclaimed— I, and not some foreign god among you. You are my witnesses,” declares the Lord, “that I am God. This is what the Lord says— your Redeemer, the Holy One of Israel: “For your sake I will send to Babylon and bring down as fugitives all the Babylonians,[b] in the ships in which they took pride. “Forget the former things; do not dwell on the past. the people I formed for myself that they may proclaim my praise. “Yet you have not called on me, Jacob, you have not wearied yourselves for[c] me, Israel. You have not brought me sheep for burnt offerings, nor honored me with your sacrifices. I have not burdened you with grain offerings nor wearied you with demands for incense. You have not bought any fragrant calamus for me, or lavished on me the fat of your sacrifices. But you have burdened me with your sins and wearied me with your offenses. “I, even I, am he who blots out your transgressions, for my own sake, and remembers your sins no more. Review the past for me, let us argue the matter together; state the case for your innocence. Your first father sinned; those I sent to teach you rebelled against me. So I disgraced the dignitaries of your temple; I consigned Jacob to destruction[d] and Israel to scorn. Isaiah 43:28 The Hebrew term refers to the irrevocable giving over of things or persons to the Lord, often by totally destroying them.